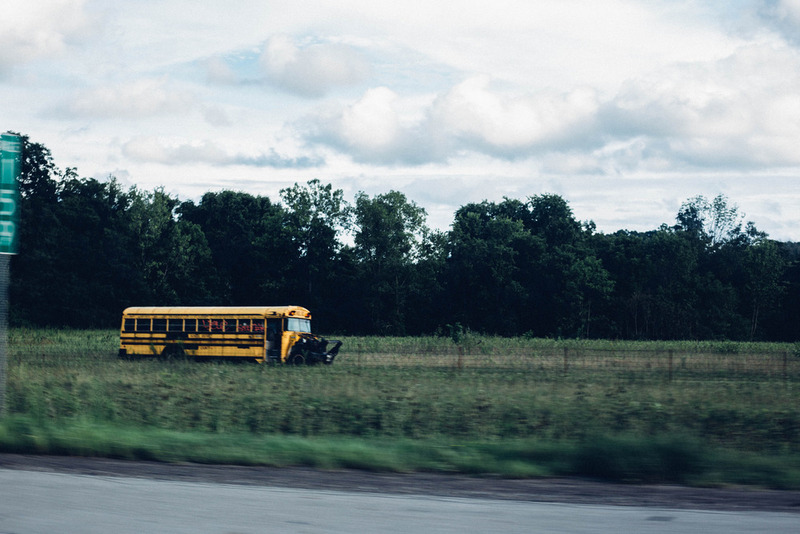 We’re in our red Honda Odyssey on the road from Cincinnati – Leggy’s hometown – to Pittsburgh. We have no air conditioning and the windows are down, but once the smell of manure hits, we instantly roll all of the windows up. We begin to sweat. In typical tour spirit, feces are no problem. Troy, Leggy’s friend from Cincinnati, is joining us for the rest of tour, and he likes yell “Marriot!” ironically while he’s driving, reminding us that we’re glamorous enough for manure, but not luxury hotels. Veronique teases Kerstin, her long-time roommate and best friend (“Kerstin is the George Costanza of the band,” Veronique tells me as an aside), and Chris and Troy discuss their plans for a Belle & Sebastian tribute album (the catch is that they don’t actually know any of the words to the record). Things are good. I’m not really thrilled about the whole no air conditioning thing, and it’s also not great that the electric doors on the van don’t work, so we have to climb in through the driver’s door each time we enter or exit the van. But part of tour is about just going with the flow, which is doable, but sometimes easier said than done. Chris introduced me to a drink called “Mellow Mood” though, which is some sort of Bob Marley branded tea that deserted gas stations have. It’s what you’d expect it to be like. “Where are we playing in West Virginia?” Troy asks from the front seat. 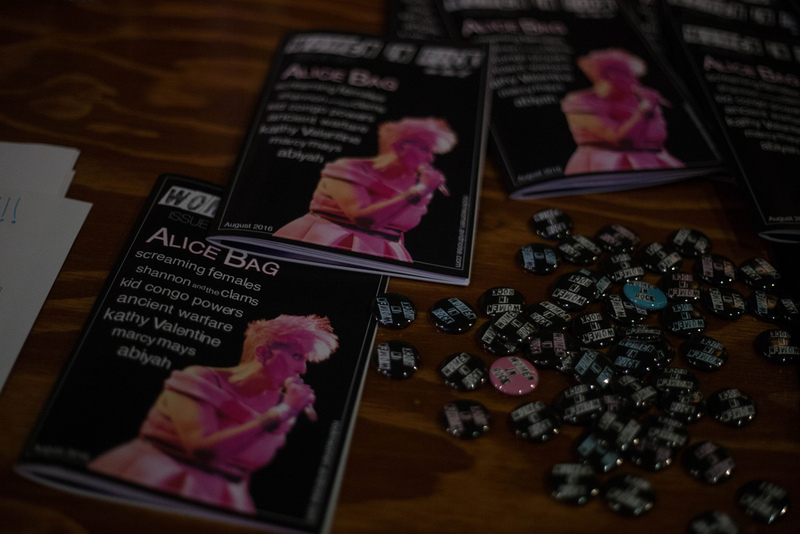 Yesterday, Leggy and Alice Bag played at the Woodward Theatre in historic Cincinnati to celebrate the release of the first issue of Women in Music, a magazine edited by members of Birdie Hearse, the band that opened the show. I interviewed Izzi (a Women in Music editor) for my documentary in front of a gorgeous vintage chandelier on the balcony of the theatre – Cincinnati pleasantly surprised me with how beautiful its nineteenth century buildings are. Before the show, while Kerstin and I re-parked the van after load-in, she told me about how a lot of movies set in the early twentieth century are filmed in Cincinnati, as well as a reality show about performing arts high school students. Compared to Detroit, Cincinnati’s show definitely had a hometown feel – I met Veronique’s dad, who played air guitar in the audience along with his daughter on stage. After the show, we hung out at some of Leggy’s favorite local spots, like Comet, a bar just steps away from Kerstin and Veronique’s home – Veronique says they’ve played there over a dozen times. Since Chris, Kerstin, and I forgot to eat dinner, we ordered a massively large pizza back to the house, a rectangular deep dish with pineapple and pepperoni. Chris was disappointed, since it wasn’t a “bearcat,” a famous Cincinnati pizza that’s probably big enough to feed a band the size of Arcade Fire for two meals, but there was definitely enough pizza to go around. Even Spooky, the dog, got a bite, to Kerstin’s dismay. I’m the youngest person on this tour by about five years, but I’m probably the biggest grandma of the group, so I turned in earlier than the rest of them. After a good night of sleep and a shower, we went back to the Woodward to get the band’s gear. Desperate for coffee, Veronique directed me down Main Street to Iris, which she had only described as a “coffee place,” forgetting that I’m not accustomed to the quaint charm of historic Cincinnati. When I opened the door to the small, pastel yellow store front, I found my own personal heaven – books and local photographers’ art lined the walls from top to bottom, and I had to resist the urge to scan the used book and record sections. Besides Philadelphia, where I live, I haven’t been to any of Leggy’s tour stops – Detroit, Cincinnati, Pittsburgh, Morgantown, and Baltimore. As we left Cincinnati, I pointed out a mountain with homes stacked on terraces up towards the top of the hill. “Whoa, that’s so beautiful!” I said. “What, that? That’s normal,” Kerstin told me. The more tour goes on, the more I confirm my initial suspicion that I’m in for more than I could have imagined. Just as I’m starting to fall asleep on the way to Pittsburgh – a five-hour drive, the longest of the tour – Chris decided to hook up the Bluetooth and put on a station called “CVS bangers.” They play songs like “I Will Always Love You” and “Sweet Child Of Mine” that you’d hear in a CVS, except that there’s a dramatic DJ voice layered over the track (“You do good to him, Whitney,” the announcer says, and then blasts an airhorn. Maybe I’m overtired and overwhelmed, or maybe it’s the Bob Marley tea, but I can’t stop laughing. I think CVS bangers is really the key to staying calm on tour, for me. “Do you know Perks of Being a Wallflower?” Kerstin asks me as we get closer to Pittsburgh. 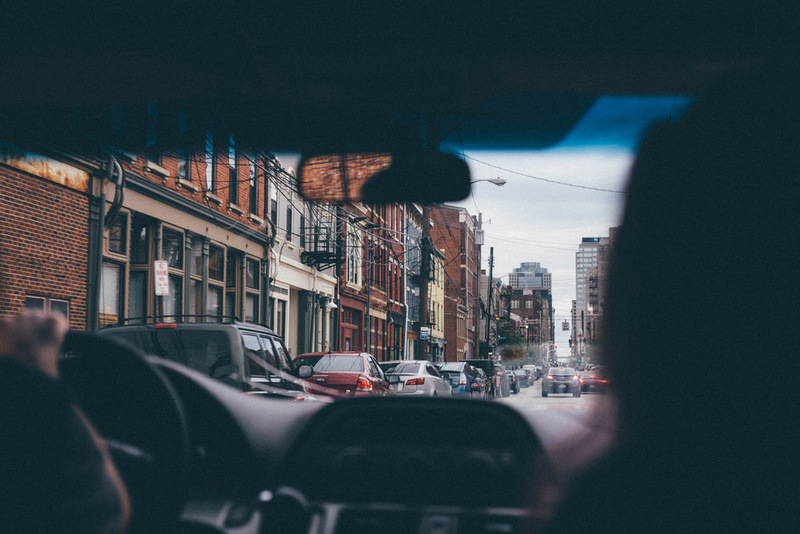 There’s a scene in the movie where three teenagers are driving through the tunnel to Pittsburgh, and Emma Watson’s character sticks her head out the sky roof and shouts a Walt Whitman-like yawp as her brother speeds out of the tunnel and into Pittsburgh. 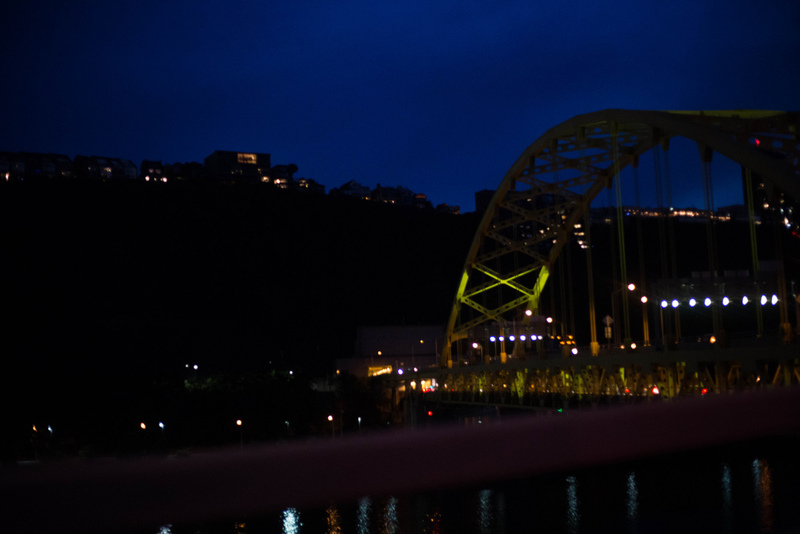 When you emerge from the tunnel, you can see the Pittsburgh skyline lit up among a backdrop of green mountains and bridges across the river. It’s breathtaking. I try to film it, but I can’t rip my eyes away. 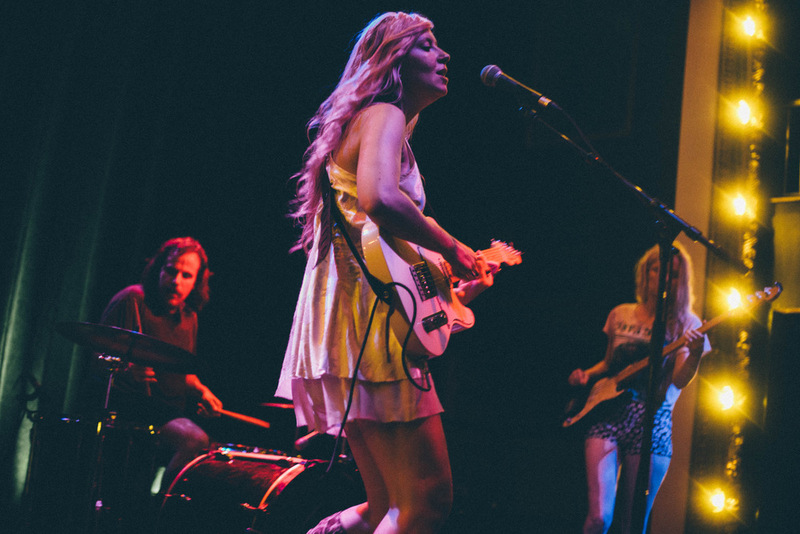 The Pittsburgh show was the most fun night of tour so far – sometimes, as stage banter, the frontperson will say, “Every band is so good tonight, right?” and some people clap and shout. But at the Pittsburgh show, every single band dominated the stage. I’m seeing Leggy and Alice Bag six nights in a row, but I could easily do seven, eight, or nine nights. The Lopez (Pittsburgh) and Big Eyes (Brooklyn/labelmates on Don Giovanni with Alice Bag) also played, and each band killed it. Plus, Alice told me she liked my outfit, so all was well. 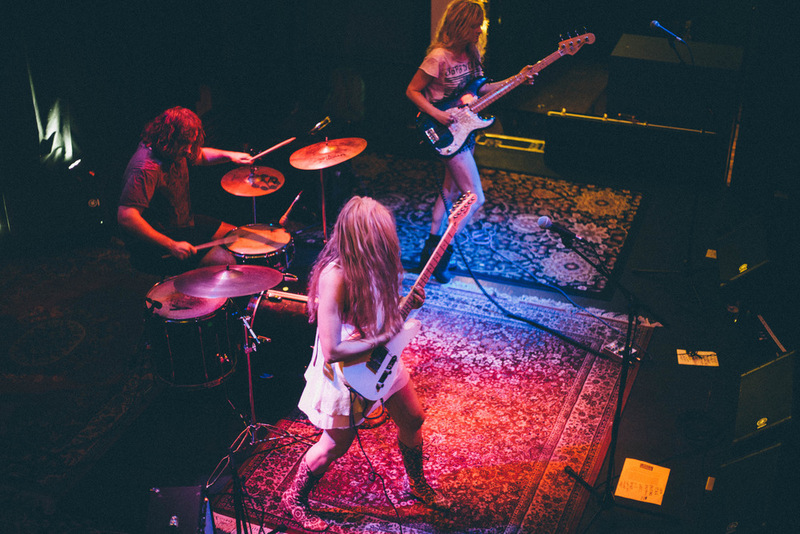 Allegra, a Pittsburgh-based musician, let us crash with her, and we stayed up until the wee hours of the morning talking about our favorite local bands. Allegra grew up in Philly, and it turned out that we knew a ton of the same people. That’s something I love about touring so far – you’ll cross paths with great people who you have plenty in common with. It turned out that the last time Leggy was supposed to play in Pittsburgh (they ended up cancelling due to a blizzard), they were slated to play with Allegra’s band, a math rock group called Yes Yes A Thousand Times Yes. It seemed appropriate that we all finally got to get to know each other. Veronique and I shared a mattress pad on the floor to sleep that night, so I didn’t get much sleep, but as soon as we went to Artisan, a tattoo-shop/coffeehouse, in the morning, I was good to go. Allegra then took us to Spak Bros., a hole-in-the-wall restaurant with plenty of vegan options on Pittsburgh’s main avenue, and then we hit the road to Morgantown, West Virginia, possibly the most “wild-card” day of the tour – what can you expect from a small college town in the mountains with maybe one or two DIY spaces? What will happen in West Virginia? Will Chris and Troy listen to more CVS Bangers? Will Kerstin get to ride a monorail? Will we find any more Mellow Mood at the gas station? Tune in next time to find out.